Small, self-powered wireless sensor and transceiver for bi-directional communication. Monitors data in real time. The RI Wireless Monitoring Device (VMD) is the basic component of the RI Wireless Monitoring System. 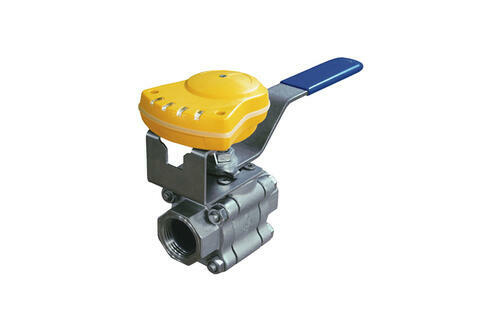 It is installed on top of the monitored valve or actuator and consists of a stem attached mechanically to the valve or actuator axle. The VMD incorporates the means and sensors to measure the angle which corresponds to the opening status of the valve (in degrees or opening percentage). 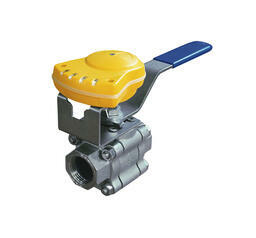 The valve status is transmitted by an internal bi-directional transceiver that is based on the standard ZigBee protocol. A dedicated Loe Frequency (LF) receiver, in the VMD, supports unique maintenance and provisioning procedures. Each wireless Valve Device Router (VDR) collects and routes data from up to 32 associated Valve Monitoring Devices (VMDs) and neaby wireless routers. The VDR (Valve Device Router) collects reported data from up to 32 associated VDs and wirelessly transfers the information to the next VDR. The TVDR (Tunneling VDR) is the last-hop VDR that passes on all the collected data from the string of VDRs to the site network for processing and analysis. ZigBee mesh technology is implemented ensuring the required routing redundancy for very high communication reliability. 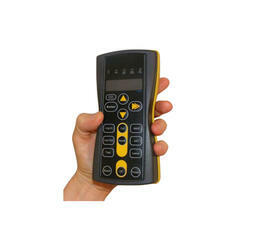 A hand-held wireless device that delivers messages and performance data to the operator and is used to support installation, configuration, provisioning, calibration, and more. The OD (Operator's Device) is a mobile field operational panel for the RI Wireless Valve Monitoring System used by field operators. The OD enables operators to effectively perform a variety of operational, setup, maintenance and monitoring tasks related to all RI Wireless components (VMD, VDR, and TVDR). The most basic functions of the OD are turning the devices ON/OFF, supporting installation and commissioning, and receiving real-time feedback in regard to the status of a particular Valve Monitoring Device (VMD). The Digital Input Box (DIB) is a small, self-powered input box capable of receiving up to three digital inputs and transfers the data in real time. 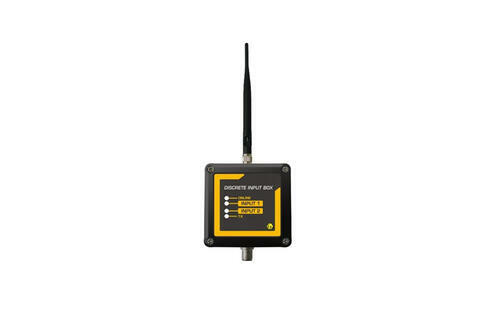 The Digital Input Box (DIB) consists of a wireless monitoring module using the most advanced 2.4 GHz 802.15.4 communication protocols. It has 3 digital dry contact inputs and one analog input (future options.) The DIB is a non-routing sleepy device. 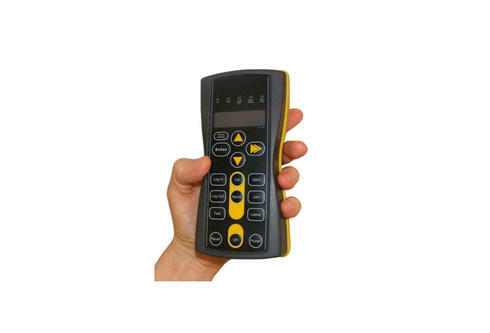 It is powered by four 1/2 AA batteries type Tadiran TL4902 that power the unit for more than 8 years assuming not more than 10 input changes per hour. Whenever one of the inputs changes state, the DIB reports the state of the three dry contact inputs and the timing between the dry contact events. The DIB report the inputs state every configurable interval (8 sec to 60 min) or after it sensed a state change in one of the inputs. The DIB temperature, batteries status, the state of the three digital inputs, wireless signal strength, and other housekeeping information are broadcasted with every message. Each DIG message is transmitted with a real-time stamp. 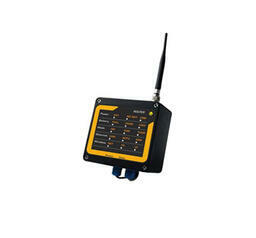 Norman Equipment offers wireless valve monitoring devices from RI Wireless, a Rotork brand. This automated wireless valve monitoring solution provides real-time position-indication to the control system and enables predictive maintenance on actuated valves using its diagnostics capabilities which helps drive capital expenditures and reduce operating expenses while increasing safety and productivity for the customer.